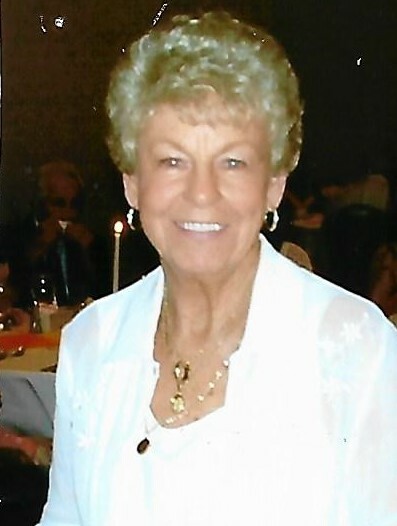 Hagerstown, MD – Dorothy “Dot” Jean Komarinski, 89, of Hagerstown, MD and formerly of Williamsport, MD passed away on Wednesday, September 12, 2018 at Brookdale Senior Living Hagerstown, MD. She was born on July 5, 1929 in Penn, Pennsylvania to the late William Martin and Bertha Mae Lewis Wahl. She was preceded in death by her husband, Deacon Andrew Komarinski in 2005. Dot was a 1947 graduate of Jeannette High School Jeannette, PA.
She was employed by the State of Maryland Department of Social Services until her retirement in 1989. She was a member of St. Augustine Roman Catholic Church Williamsport, MD. She was an active and devoted Parishioner and served as a Eucharistic Minister and Sacristan. She was formerly a member of St. Bonifice Catholic Church in Penn, PA.
She was a previous member of Morris Frock Post #42 American Legion Auxiliary Hagerstown, MD, BPOE #378 Ladies of the Elks Hagerstown, MD, Catholic War Veterans Auxiliary, and Pangborn Council Hagerstown Knights of Columbus. Dot was the last surviving member of her immediate family. She is survived by many nieces, nephews, great nieces, and great nephews. She was predeceased by two sisters Coletta Wahl Schlegel and Elizabeth “Betty” Wahl Agona, and two brothers Edward Wahl, Jr. and John Wahl. The family will receive friends at the Osborne Funeral Home 425 S. Conococheague St. Williamsport, MD on Sunday, September 16, 2018 from 6:00-8:00 pm. A prayer service will be held at 5:30 pm. The funeral home will be open after 1:00 pm on Sunday for the convenience of family and friends. A mass of Christian Burial will be celebrated at St. Augustine Catholic Church Williamsport, MD on Monday, September 17, 2018 at 11:00 am with Rev. Father Stephen E. Hook and Rev. Father John Jicha celebrant. Entombment will be in Greenlawn Memorial Park Williamsport, MD.